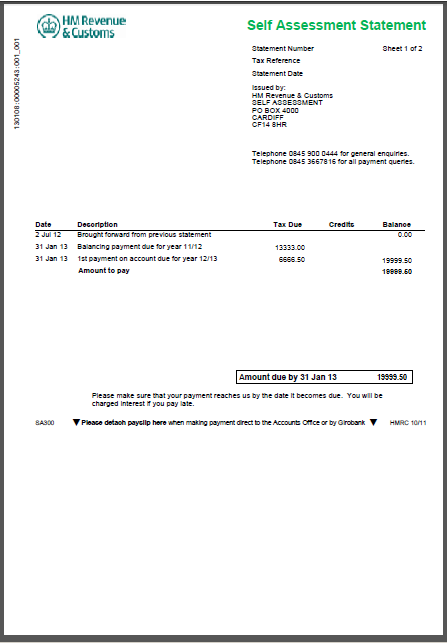 Personal tax returns must be submitted, and any tax paid by 31st January 2015. At Robins & Co, we will take care of the submission part, but you will need to pay HMRC directly. You give us all the necessary paperwork - you should have received a letter requesting this earlier in the year - if not contact us as soon as possible. Essentially we need details of all your income between April 2013 and April 2014. This could be through employment, dividends, pensions or property rentals - again call us if you are not sure. We prepare your tax return, once it is complete we will ask you to check it and sign it. Once we have your signed tax return we will submit it directly to HMRC electronically. What do I need to do then? Once your tax return is prepared you will receive from us a "Personal Tax Computation" this contains the same information as your tax return. 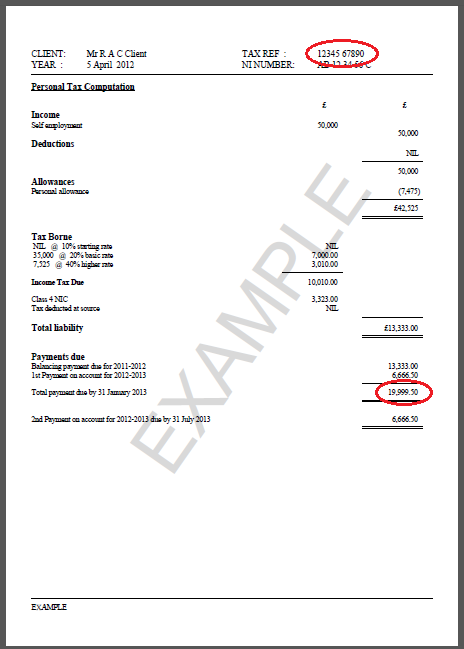 If you have any tax to pay, it will be detailed at the bottom of the sheet as indicated. You should also shortly receive a statement from HMRC, the figures on the HMRC statement and our paperwork should match. If they do not - please call us. There are two pieces of information that are required in order to complete the payment process. The first is your UTR (indicated at the top of your computation) this is referred to as your "SA Reference". Complete the online form, filling out the details as requested. At the end of process you wil receive a confirmation of payment screen. You may wish to print this for your records. If you have problems or questions, please call us, we are here to help.